Thanks to John for noticing this on the Eidelwess catalogue site – guess my publisher forgot to include me in the mailing list. Anwyay, here it is, hope you like it. No artist info yet, but I’ll post it if and when I get it. This entry was posted on Tuesday, March 12th, 2013 at 11:16 am	and posted in Writing Stuff. You can follow any responses to this entry through the RSS 2.0 feed. hw do I update the old cover to this one on my kindle? Not sure this is possible. Anyone got any ideas on this? When is book two to be released? When is the sequel to blood song comming out? Are there any plans for a U.S. book tour? If yes, please try to include San Antonio, Texas. 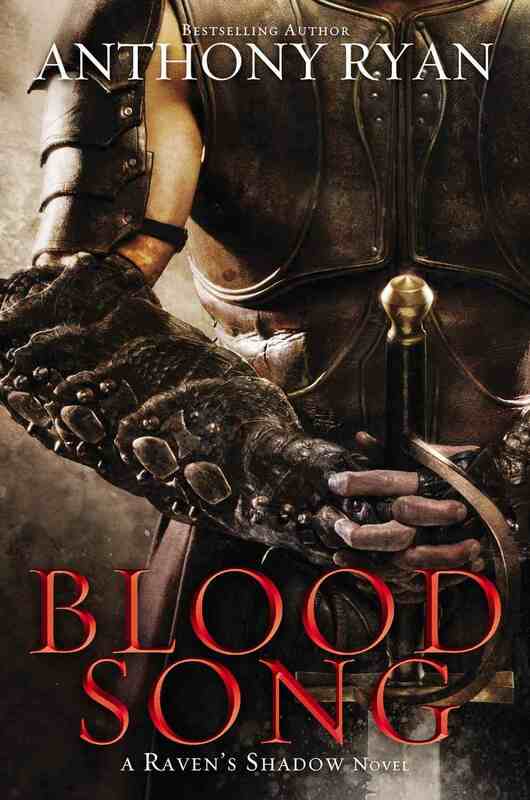 I’d love to get a signed copy of Blood Song. Hi Sean, No book tour plans yet but I’ll try to get San Antonio included if it ever happens. Hi Anthony, I recently read all of your books and have several friends who I have discussed them with. Some of them, don’t really have time to read, but are very active audiobook listeners. Any plans for getting Blood Song on audio? Have you ever considered collaborative fantasy or science fiction? How about opening your cover art up for unknown artists worldwide then selecting the best? Just throwing out some thoughts. Terrific books, keep up the good work. The audiobook of Blood Song is currently in production and will be released following the publication of the hardcover in July. No current plans for any collaborative projects, but who knows? As far as cover art goes, any and all art for the Raven’s Shadow trilogy is now being commissioned by my publisher (I’d really like to see some fan art though) but I may well run some kind of competition for my final Slab City Blues book, though that’s some way off at this point. I have a question, I purchased Blood Song before it was picked up by the publisher. I was going to re read it and now the font is super small on kindle. I can barely see it. Has anyone had this issue. I can not find a way to make the font bigger. If nessicary I will re buy the book it is well worth it. I read ebooks on my ipad so don’t have this problem. Anyone got any pointers for Brad?